Monday marks the 56th anniversary of the 1960 Sharpeville massacre, which saw 69 Black South Africans protesting apartheid pass laws tragically shot dead by apartheid security forces. The ruthlessly executed massacre, which also left 180 others wounded for protesting apartheid, shook the entire world and proved beyond doubt the inherent evil of the apartheid system. It would have taken another 30 years for apartheid rule to crumble, but it was Sharpeville that first made its ultimate destruction inevitable. 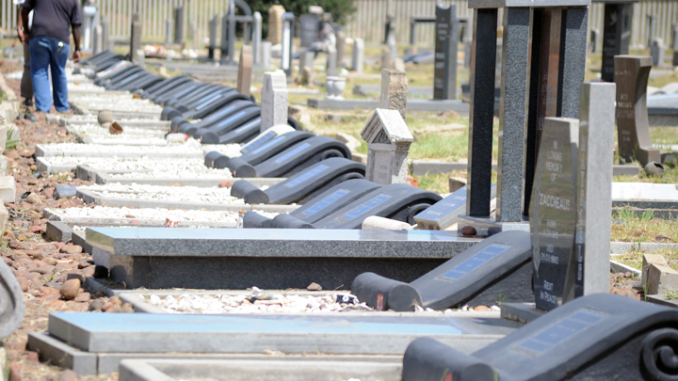 As has been the case since the dawn of democracy in 1994, memorial events across Gauteng province, where the carnage took place, have been lined up. Various political parties take time to celebrate this day that is hallowed in the South African calendar as “Human Rights Day”. Gauteng Premier David Makhura will lead the main celebration at the Sharpeville Cricket Pitch on Monday. “Government believes that Human Rights Day is an occasion that must bring South Africans together to promote social cohesion and nation-building,” Mr Makhura said. The theme ‘Gauteng United Against Racism’ has been adopted this year to reaffirm government’s commitment to non-racialism and unity in diversity. A history scholar, Khethani Nkabinde, is quick to point out that those gunned down in Sharpeville, a township south of Johannesburg, were not the only ones who died on March 21, 1960 protesting the “pass law” – a domestic passport that black males were ordered to carry and produce upon request. “In Langa, a shantytown close to Cape Town, police also opened fire on protesters, killing three people while 26 others were wounded. But sometimes that part of history is forgotten and I can imagine how it feels for those that lost relatives in Langa,” says Mr Nkabinde. At the time, the Pan Africanist Congress (PAC) – a breakaway group from the African National Congress (ANC) – had called on black males to leave their passes at home and surrender themselves at police stations in open defiance of apartheid laws. Thousands took part in the demonstrations in different cities across the country and police reacted with devastating brutality to the acts of civil disobedience that had threatened to collapse the economy built on the backs of the black majority. “As young and militant students, we felt that the time had come to fight it,” recalls former PAC Western Cape leader, Philip Kgosana. Shirley Gunn of the Langa Memorial Collective has previously said that was “the historical moment that the PAC really had its finger on the pulse”. After the shootings, anger on the streets only burgeoned. Mr Kgosana says they felt a lot of injustice had been done because on their side, they did not beat the police, but only wanted their grievances listened to. Following the events in Sharpeville and Langa, the PAC then spectacularly led between 30,000 to 50,000 protesters on a 15km march from Langa to the Caledon Square police station in Cape Town’s city centre on March 30. Mr Kgosana was thrown in jail and put into solitary confinement for 21 days. According to material in the Apartheid Museum, the government of the day lost an opportunity to initiate peaceful negotiations during that period, culminating in the PAC and the African National Congress (ANC) adopting an armed struggle and giving up on the idea of resisting peacefully. In April 1960, the ANC and PAC were banned and forced underground. Both parties formed armed wings in efforts to breathe new life into the resistance. That is when former South Africa president Nelson Mandela rose up as commander-in-chief of the ANC’s armed wing, Umkonto-we-Sizwe. Following his arrest, Mr Mandela was sentenced to life imprisonment on four counts of sabotage. Through the 1970s and 1980s, Langa became a larger site of turmoil and dissent. On March 21, 1985, on the anniversary of the events of 25 years earlier, at least 21 people were shot dead when police opened fire on hundreds of people in a funeral procession that had been banned by the apartheid state. Today, not too far from the hostel in Langa where some PAC leaders once lived as students, a humble memorial with a mural of Mr Kgosana in the throes of protest commemorates the march he once led. The memorial is also a rare spot where residents are able to relieve themselves – because a space in the structure provides a lavatory – in a township that lacks basic sanitary services.